The admissions review process considers the qualifications of all applicants in a holistic manner. The students' high school curriculum, performance in academic coursework and on standardized tests like the SAT and/or ACT where applicable, essay, recommendations, leadership experience, community service, talents, extracurricular activities and the ability to contribute to the diverse academic community at Salisbury University are many of the qualifications considered for admission. Admission to Salisbury University is granted to those applicants whose academic qualifications give promise of success in college. The evaluation of the applicant's chances for academic success is the responsibility of the Admissions Office, which foremost considers the applicant's academic record. Applicants must submit the completed application for admission, official high school transcripts, essay, and letter(s) of recommendation. Standardized SAT or ACT test scores are required for applicants with a weighted grade point average of 3.50 or less on a 4.0 scale. Should the student applicant have earned a weighted cumulative grade point average of 3.50 or higher on a 4.0 scale, the applicant has the choice of submitting a standardized test score. Applicants choosing to exclude standardized test scores should provide evidence of individual achievements and/or experiences which would not be evident from a review of the official high school transcripts. Leadership qualities, community service, artistic talent, athletic talent and diversity of background, including cultural, experiential and geographic, are additional factors used in the holistic review of each applicant. 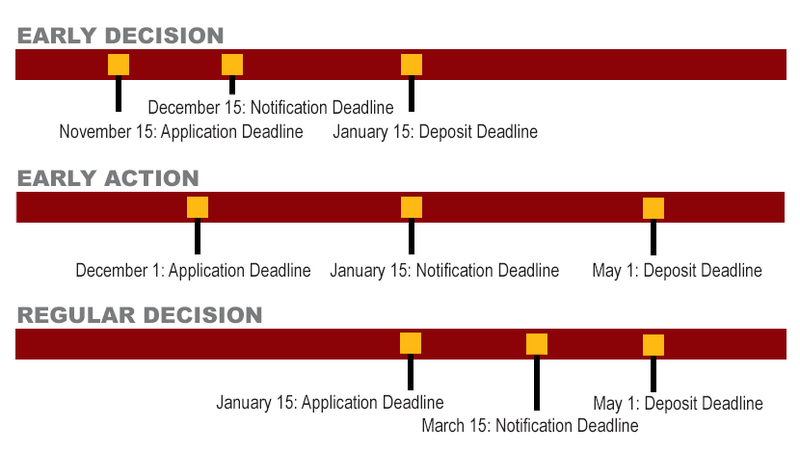 Applicants who wish to be considered for scholarships are urged to take the SAT or ACT no later than the fall testing date and to apply by the priority date of January 15. Details concerning the SAT I or ACT may be obtained at www.sat.org or www.act.org. All standardized test results must be officially forwarded to Salisbury University from the respective testing centers or your high school guidance office. The ETS code number for Salisbury University 5403 and the ACT code is 1716.
must include Algebra I, Geometry, and Algebra II. Students who complete Algebra II prior to their final year must complete the four-year mathematics requirement by taking a course or courses that utilize non-trivial algebra*; and two years in a world language or technology-approved credit. Criminal History Statement: Salisbury University does not consider a student's criminal history during the admissions process for undergraduate or graduate admission to the University. Criminal history information may be reviewed post-admission by the University in considering students for access to certain programs that have criminal history requirements, for on-campus residency, in order to provide supportive services, or to alter an admissions decision based on the policies of the Maryland Fair Access to Education Act of 2017. *Non-trivial algebra is intended to mean that the level of mathematical concepts discussed and the level of problems that are used in the course would be at least as sophisticated as those that relate to problems appearing in the Achieve ADP Algebra II test. Examples of courses meeting this requirement include Algebra II, Trigonometry, Precalculus, Calculus and successor courses, Statistics and College Algebra. An important feature of any such course is that it utilize algebra in a substantive way, so the student does not lose the algebraic and numerical skills achieved in earlier courses. Successful candidates for freshman admission to Salisbury University will have demonstrated strong college potential during their years in high school.